The ReFirme skin tightening procedure features revolutionary elōs technology that enables you to comfortably achieve a more youthful, tightened and toned appearance without enduring downtime. FDA cleared, non-invasive skin tightening procedure powered by elōs technology. 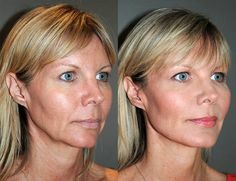 How does ReFirme skin tightening work? The combined Bi-Polar Radio Frequency and Light energies of elōs technology precisely heat the dermal tissue within the target treatment area. This stimulates collagen production and produces a firming effect in lax skin. Fine wrinkles are reduced, noticeable lifting can be observed, and the texture of your skin becomes smoother, more luminous and toned. 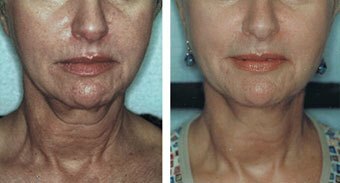 Most patients see results after the first treatment and then gradually and cumulatively throughout the ReFirme skin tightening treatments. The total number of required treatment sessions depends on your skin’s condition. No. There is absolutely no pain. ReFirme is a very gentle and comfortable treatment requiring no downtime. It is possible to return to normal activities immediately after the treatment.